With injuries and under-performance running rampant through the Yankees farm system, this list is quite a shakeup from past prospect reports. 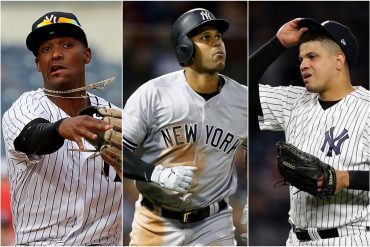 Once thought to be top-5 prospects, the stars of Mason Williams and Slade Heathcott have fallen significantly. 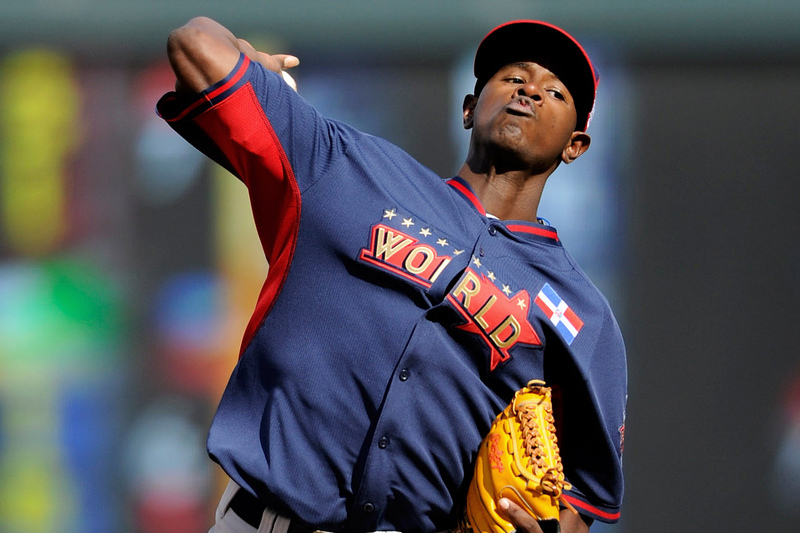 Another former top prospect, Rafael DePaula, is now in San Diego after being moved for Chase Headley. However, it’s not all bad. 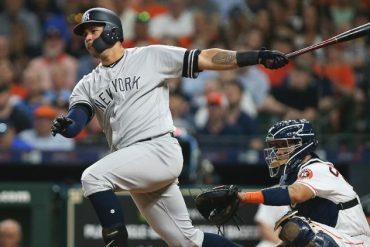 Gary Sanchez has put his May benching behind him to produce strong numbers and hold onto the top spot. Luis Severino has exploded onto the scene as a legitimate top-of-the-rotation prospect, and Rob Refsnyder looks like he could be the team’s starting second baseman in 2015. 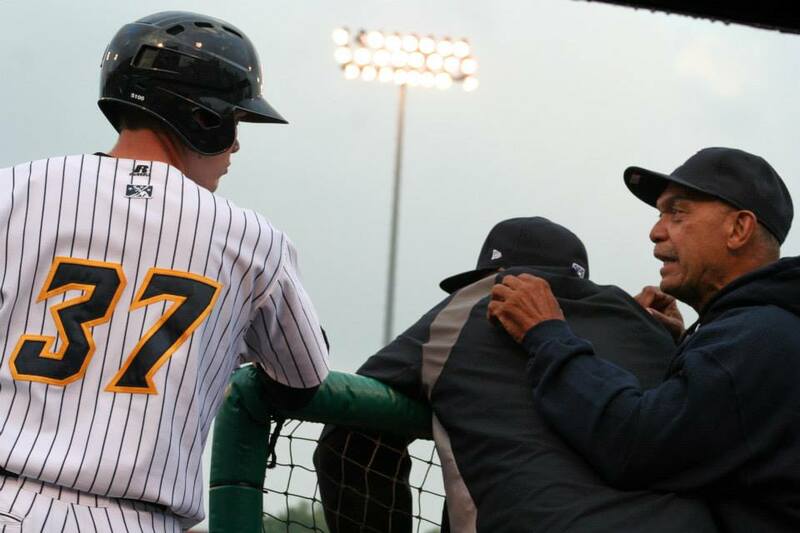 Sanchez has been considered the top prospect in the New York Yankees farm system for a couple of years now, but it is closer than ever before. His defense has improved, and his bat is just about ready to move up a level, but questions about his maturity still linger. The 21-year-old was benched for five games earlier this season for disciplinary reasons, leading many to wonder whether he has the mental makeup to succeed in the big leagues. The skill set is there, but Sanchez must mature before a promotion to Scranton/Wilkes-Barre is in order. Severino dominated the South Atlantic League throughout the first half of the season, and needed less than a month in High-A before earning the aggressive promotion to Double-A Trenton. He did not disappoint in his first start, tossing five innings while allowing just one run. Despite his small frame, Severino regularly sits in the mid-90’s with his fastball, and frequently has been clocked in the high-90’s. His polished three-pitch repertoire has earned him comparisons to Pedro Martinez, and anyone could argue that he has overtaken Sanchez as the farm system’s crown jewel. After being a first round pick last year, Judge exploded onto the scene in his pro debut this year. Despite his 6-foot-7 frame, Judge has a rather compact swing that allows him to make consistent contact and gives him a good deal of power at the plate. Judge is the real deal, and could very well be the Yankees’ right fielder of the future. He could get a cup of coffee with Trenton for the final week or two of the season. Since being drafted in the fifth round in 2012, all Refsnyder has done is hit. This year, fans have taken notice of the converted outfielder, and many have been clamoring for Refsnyder to make his MLB debut. Though his bat is close, his defense still needs a bit of work. Despite 12 home runs this season, Refsnyder is not a power hitter. Instead, his ability to make solid contact and a great eye for the strike zone profiles as a nice fit in the two-hole or towards the bottom of a strong lineup. He will likely compete for the Yankees’ second base job in spring training next year. Another first round selection from a year ago, Clarkin is finally healthy and living up to the hype as one of the best young left-handers in the South Atlantic League. His fastball-curveball combination has been lethal to opposing hitters, resulting in a .239 batting average against. 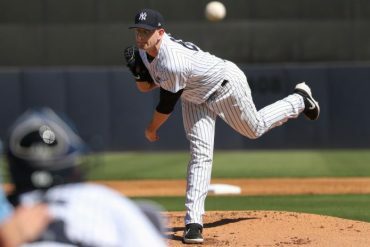 Clarkin has the potential to be a second or third starter in the Yankee rotation, but he needs plenty more development time in the minors. He will likely move up to Tampa next season, where more experienced hitters will try their luck against his sweeping breaking ball. After 22 home runs in 2013, O’Brien has cemented himself as the top power hitting prospect in the Yankee farm system with 30 home runs so far this season. He’s earned praise from former Yankee great Reggie Jackson, and may have finally found himself a home defensively playing first base. However, he continues to struggle to make consistent contact at the plate, which has been highlighted by his 36.7 percent strikeout rate. He’s been compared to Shelly Duncan, though I tend to believe he may develop into a bit of a better contact hitter than Duncan. Jagielo’s first full professional season has been marred with injury, and reports on him prior to getting hurt were “blisteringly bad.” One scout told me that Jagielo will “never make it out of Double-A,” and indicated that he doesn’t have the arm or the fielding ability to last at third base. He could soon be ticketed for a corner outfield spot, once he figures out his approach at the plate. At only 22 years old, the breakout potential still exists from the 26th overall pick in last year’s draft, and his left-handed power swing could help support nice major league numbers someday. Bird is following up his 2013 breakout season with a solid showing in the Florida State League for the Tampa Yankees. He possesses a good eye and strike zone discipline, and consistently makes solid contact. Bird has the power to be a solid 18-20 home run player someday, though a bad back that forced his move from behind the plate to first base could limit him. He’s an average defender at first base. 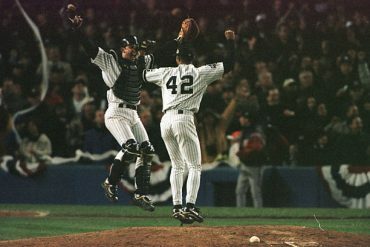 One scout indicated that Bird reminded him of former Yankee first baseman Tino Martinez, both at the plate and on the field. Williams is a plus defender who has great speed, but all too often does not use it. 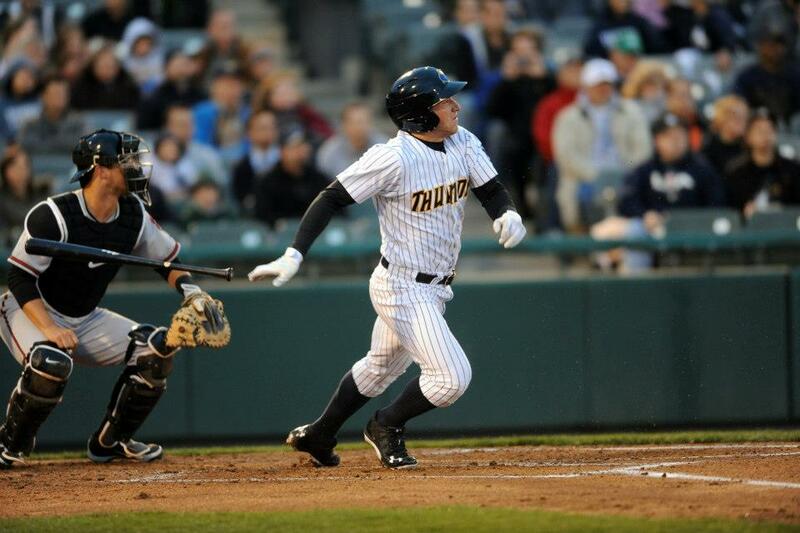 He has looked lost at the plate since being promoted to Trenton late last season, and it is fair to question whether he will remain their regular center fielder now that Jake Cave has joined the Thunder. Williams has a world of talent, but will need to put the extra effort in to turn that talent into results. He still seems like a potential major leaguer due to his defense, but his ability to get on base is a serious question moving forward. Cave was pegged by many as a breakout prospect prior to 2014, and lived up to the expectations during the season’s first half in Tampa. Promoted to Trenton after the Eastern League All-Star break, Cave has struggled at the plate but figures to settle in soon. He’s a contact hitter with some speed, and though a center fielder by trade, can play all three outfield positions. He’s got enough tools to make the major leagues someday, and so far, the results have matched his talent. He reminds me of Brett Gardner, though the speed is a notch below Gardner’s level. In his return from offseason knee surgery, Heathcott lasted just nine games with Trenton before having to undergo the knife again. A talented ballplayer who plays his heart out, Heathcott has never played more than 103 games in a season. A solid contact hitter with a strong arm defensively, Heathcott could be a solid outfielder in the major leagues someday. 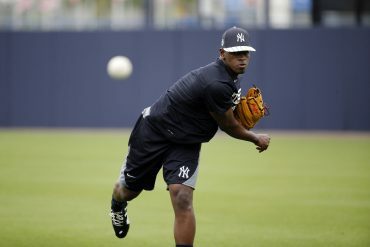 The Yankees thought enough of him last offseason to add him to the 40-man roster and protect him from the Rule V draft. If not for the vast injury concerns, Heathcott would be in the top five on this list, and I believe he still has enough talent to return to that spot. Banuelos has struggled quite a bit as he works his way back from Tommy John surgery that cost him almost two years of development. His command in Trenton this year has been spotty at best, and he has operated on a pitch count for much of the season. Banuelos still possesses a plus curveball with a decent fastball. He won’t make New York this season, but could be a candidate at some point in 2015 for a ticket to the Bronx. If he is able to discover better command, Banuelos could be a solid third starter. Mitchell has looked very good most of the times I have seen him, and has spent a few days on the big league roster as an emergency pitcher. He possesses a solid repertoire, but has often had trouble with his command. Once scout compared him to a “poor man’s A.J. Burnett” and indicated that while he could be an effective back-of-the-rotation starter, his future is likely that of a late-inning reliever. As a starter, he has touched 98 miles per hour with his fastball, and could see a velocity spike as a reliever. 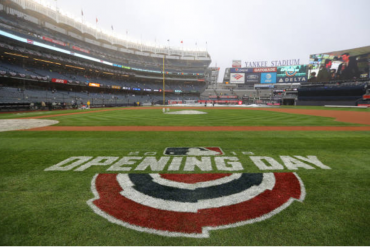 Avelino won’t be the first to succeed Derek Jeter, but he could be the long-term solution at shortstop. He possesses a combination of good contact ability and great speed. At just 19 years old, Avelino is still developing physically and could build a little bit of power into his game, but will never be a home run hitter. He has missed almost two months with a quad injury, and I suspect he might have been higher on this list had he played a full season in the South Atlantic League. He’s a prospect to watch over the next few years. After missing much of the 2013 season with a hip injury, Segedin returned to Trenton looking like a different ballplayer. His range and his overall defense at third base had improved significantly, recording just 11 errors in 66 games at the position this year, compared to nine errors in 16 games a year ago. Always billed as having a solid bat, Segedin showed great control of the strike zone, and earned a promotion to Scranton/Wilkes-Barre halfway thru a red-hot month of July. He may be a “four corners” guy at the next level, but should be able to hit his way to the show in 2015.